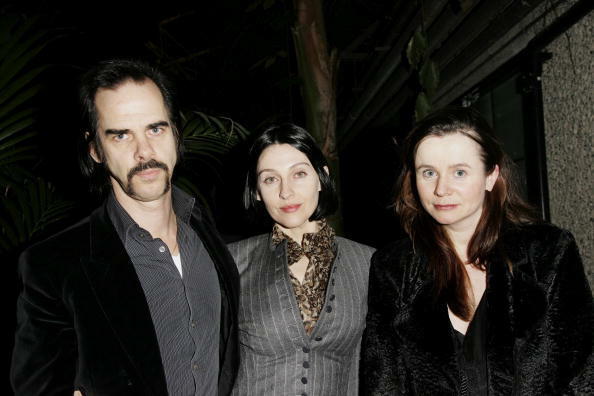 Nick Cave, Susie Bick and Emily Watson at the opening gala screening of "The Proposition." 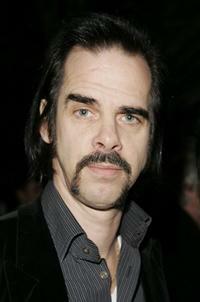 Nick Cave at the Cinema Society premiere of "The Proposition." 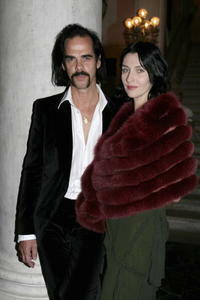 Nick Cave and Susie Bick at the 63rd Venice Film Festival. 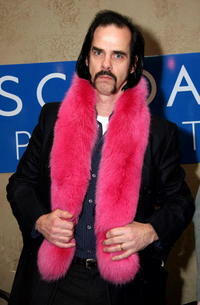 Nick Cave at the Escada Sport Display at Gibson Guitar Lounge. 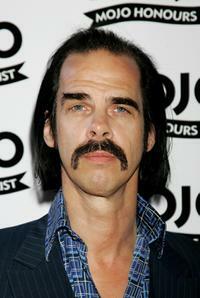 Nick Cave and Rosanne Cash at the MOJO Honours List Awards. 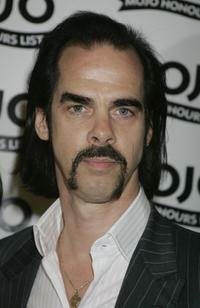 Susie Bick and Nick Cave at the MOJO Honours List Awards. 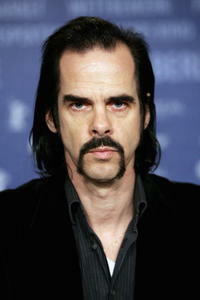 Nick Cave at the 56th Berlin International Film Festival. 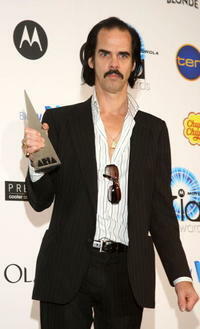 Nick Cave at the 2007 ARIA Awards. 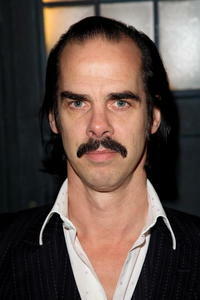 Nick Cave at the gala screening of "Doctor Who." 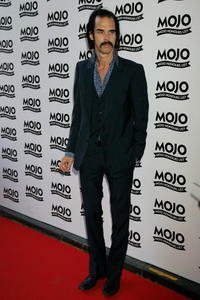 Nick Cave and Susie Bick at the Mojo Honours List Awards ceremony. 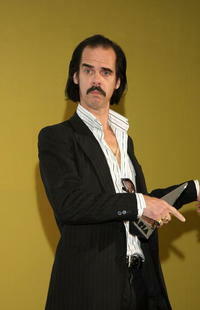 Nick Cave at the Mojo Honours List 2008 Award ceremony. 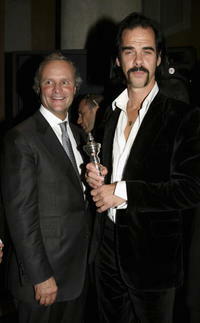 Robert Polet and Nick Cave at the 63rd Venice Film Festival. Nick Cave, John Hurt and Ray Winstone at the opening gala screening of "The Proposition." 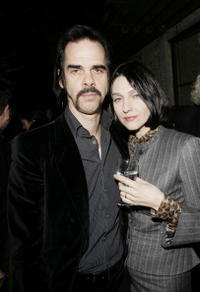 Nick Cave and Susie Bick at the opening gala screening of "The Proposition." 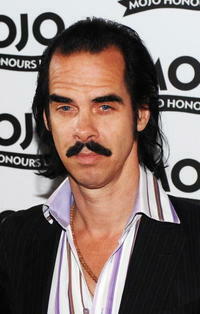 Nick Cave at the Mojo Honours List Awards. 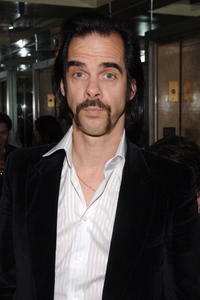 Nick Cave at the opening gala screening of "The Proposition" during the London Australian Film Festival.